Their first drawings are always the best! So simple and yet so powerful and full of emotions. Keep your favorite one in the form of this necklace to marvel over every day. 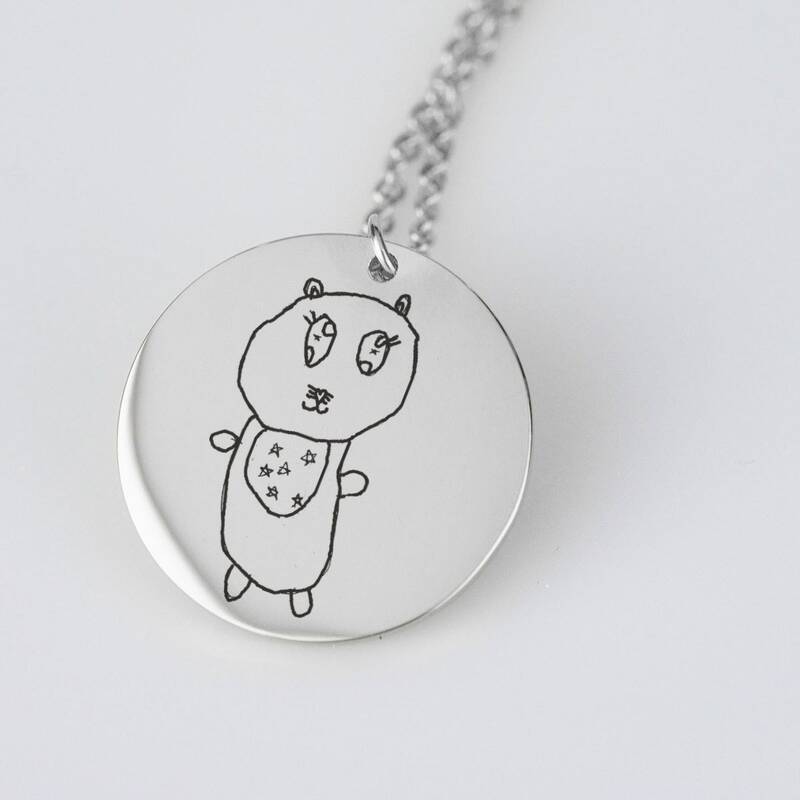 Select finish option for your child's artwork necklace from the drop down menu and quantity to order. This art gift necklace may be ordered in an 18k gold plated finish or a stainless steel finish. Then email a photo of the artwork you want on the necklace or attach it to a message to me. I will then format the photo to fit on this pendant. 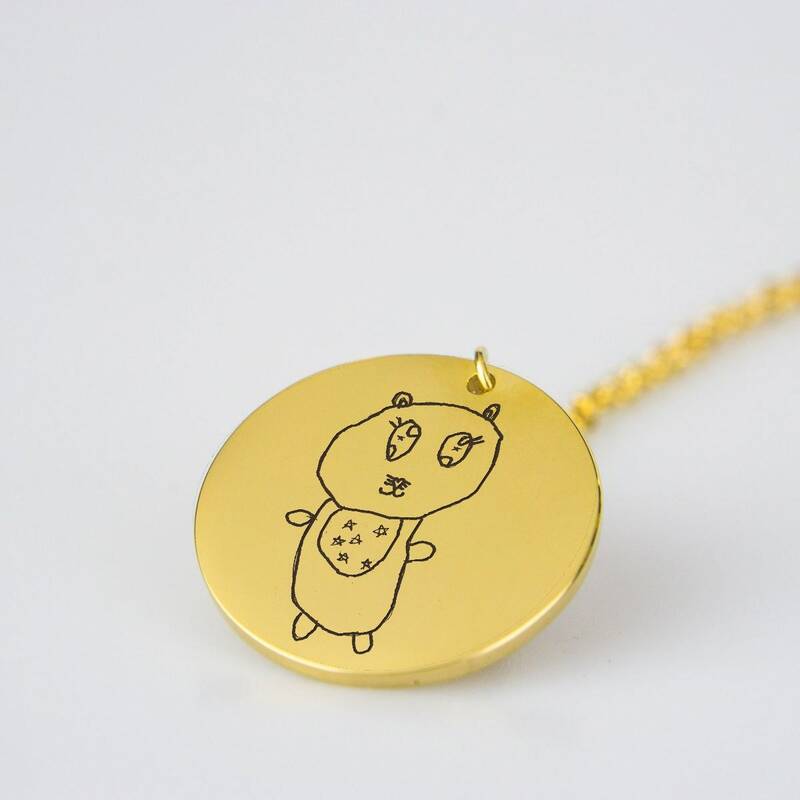 The painting pendant is 0.9" (22mm) in diameter for your child's art necklace. The chain is 18" (48cm) with a 4" (10cm) extension for your child's artwork necklace. This artwork necklace gift makes a great personalized gift for mothers and grandmothers.